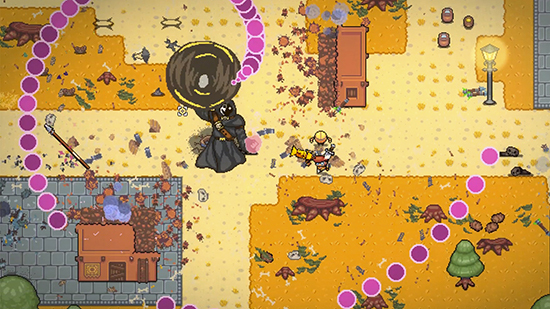 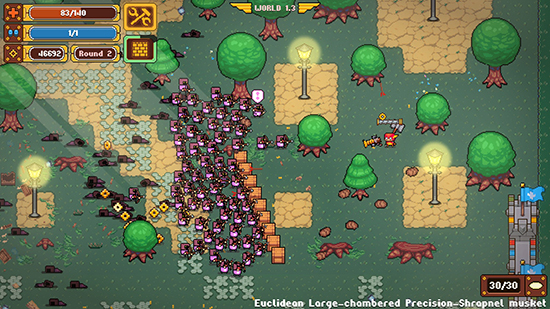 Woodpunk is a challenging roguelike shooter in a retro pixel art style. 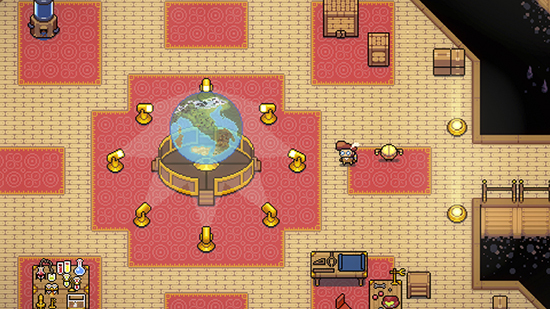 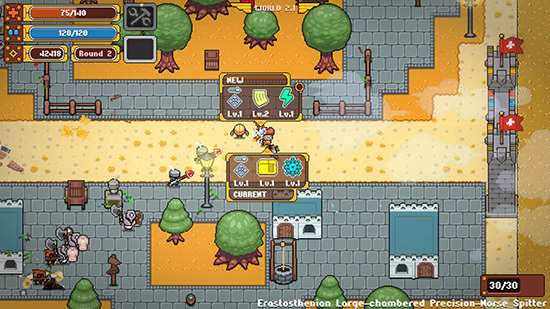 The game puts the player into the shoes of medieval inventor Aquinas, who is facing hordes of quirky enemies in a parallel Woodpunk universe. 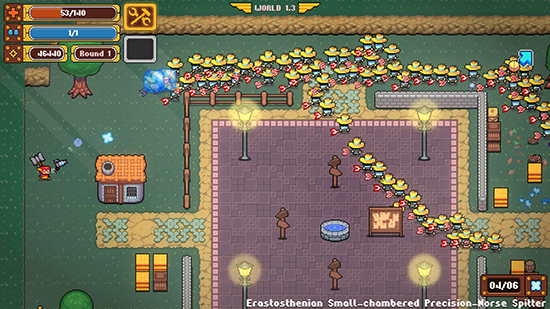 Facing them alone, or with the help of a friend in local coop, Aquinas has a vast arsenal of weapons at his disposal. 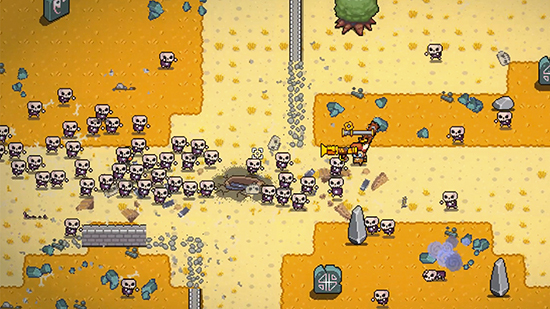 Like the levels and surroundings, these weapons are also procedurally generated from unlocked parts, adding up to over 1400 different weapon combinations. 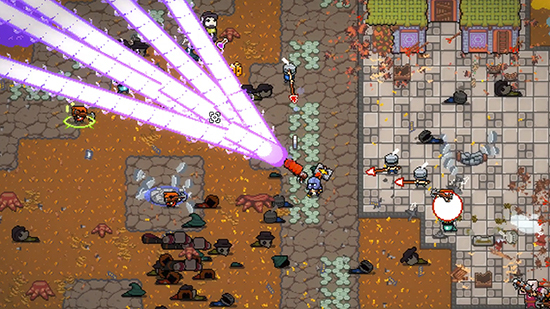 To support him in the action, Aquinas has enlisted the help of his trusty robot Theo, who not only supplies him with new swords and machine guns but also has some special abilities, like setting up a wall for cover or going into turret mode to ease the pressure from the attacking enemy masses. 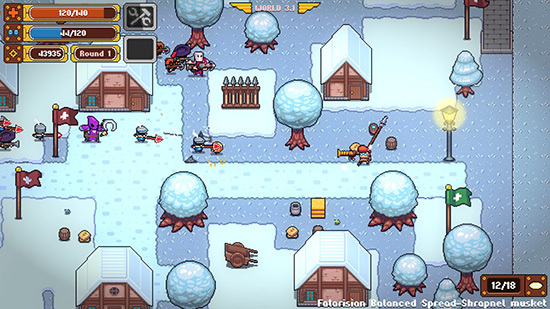 Theo is controlled by the AI, but can also be taken over by a friend in the game’s local coop mode. 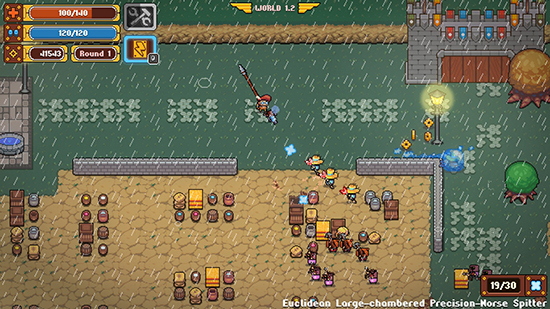 The gameplay is full of harsh, relentless action, requiring strong reflexes and a fair amount of battle strategy. 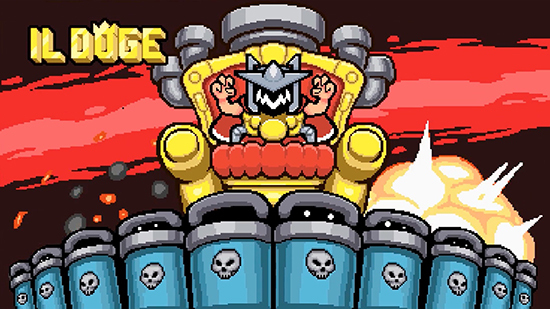 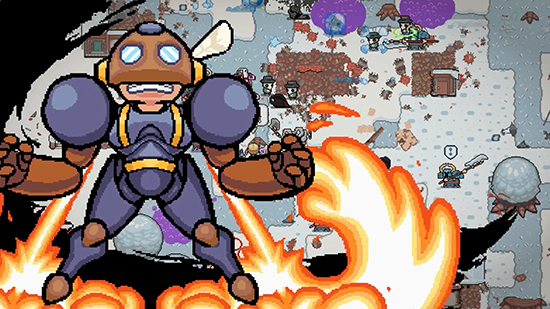 Battle massive waves of enemies at a time, along with powerful bosses! 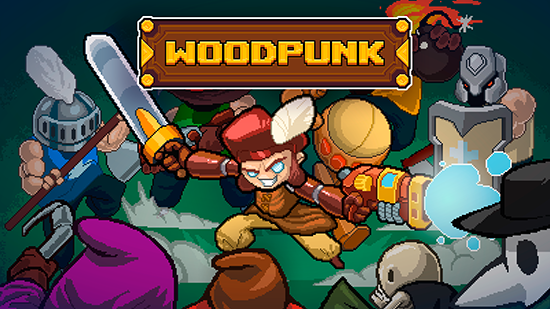 Woodpunk is the first game of Spanish development team Meteorbyte Studios. 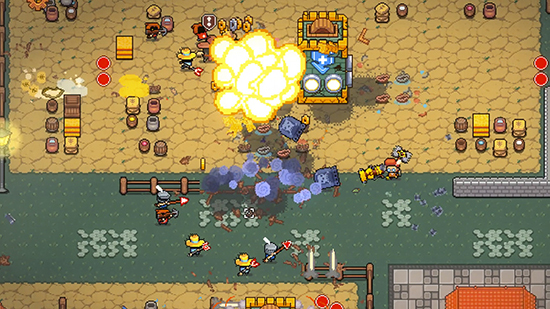 Following the game’s PC release, both the Xbox One and PS4 versions of the game are scheduled for Q1 of 2019.